The root causes of fatigue are different for everyone. Our priority is to diagnose and treat these specific underlying root causes that are draining your energy. Our powerful medical modalities have stood the test of time, providing relief for countless patients struggling with fatigue. We use only 100% natural therapies that work WITH your body to help you regain true, enduring energy. Rooted in the principles of Chinese medicine, holistic coaching is incorporated into your treatment sessions to provide a true mind-body approach to healing. Fatigue is often the result of sleep habits, stress, lifestyle, diet and emotional factors. We help you identify these potentially energy-draining aspects of your life so that you make the necessary changes to feel better. What you eat has a significant impact on your energy levels. We help you choose foods that benefit your unique health profile. Herbs and nutritional supplements may also be used short-term to help restore depleted body systems. You may be unaware of how your thoughts, emotions, relationships and life circumstances are contributing to your fatigue. We teach you simple mindfulness and meditative techniques to help you maintain higher energy levels throughout the day and develop a sense of inner calm. Come meet us in person and learn more. 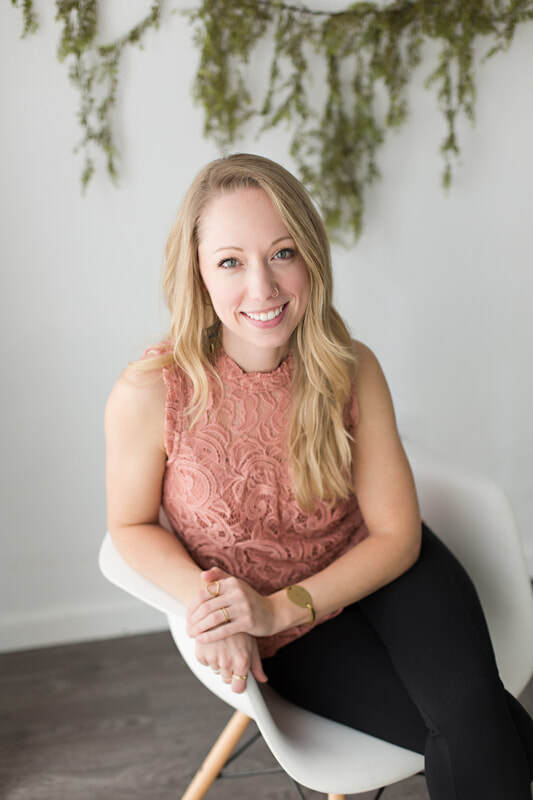 ​Cailin is a licensed acupuncturist and nationally board certified practitioner of Chinese medicine, acupuncture and Chinese herbology (NCCAOM). Her passion is helping her patients heal their physical and emotional pain at the deepest level. She practices medicine holistically, which means she can understand how​ your physical, mental and emotional health are connected, and thus, treat the underlying cause of your symptoms. It is Cailin's belief that true healing requires us to compassionately connect with ourselves and our bodies in order to bridge the gap between where we are and where we want to be- in health and across all areas of our lives. At your free initial consultation, you’ll meet with Cailin to discuss your case, medical history and goals. We want to be certain that our program is going to meet your needs and that there is a high probability of success for you before we move forward to the next step. Once your free consultation is complete, and we agree to move forward, your next step is the Intake appointment. At this appointment, we will do a detailed assessment of your symptom pattern, medical history and other factors to determine the root cause of your symptoms and devise a specific treatment program for you. This visit also includes your first treatment and a comprehensive treatment plan. You’ll return for weekly visits to ensure close support as you begin to feel the positive shifts of the therapy. We want to make sure your treatment plan is yielding the expected results. These visits will include evaluation, coaching as needed and treatment. Once we see stable improvements, we will begin to reduce the frequency of visits. This usually occurs after about 8-12 visits. We will space out your visits according to your needs until you no longer require care. However, many of our patients wish to continue with ongoing treatments as needed and we are happy to work that out with you, should that be your wish.